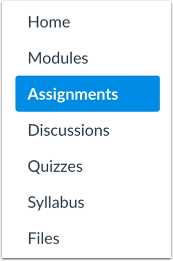 How do I edit an assessment from Quizzes.Next in the Assignments page? 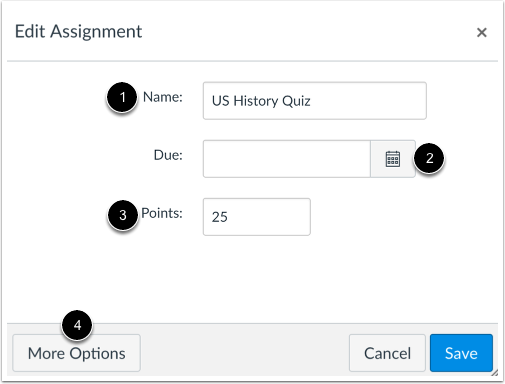 You can make changes to your Quizzes.Next assessment from the Assignments page in Canvas. You can make edits to the point total, assignment group, due date, availability dates, and the individual students and course sections who will receive the assessment. You can also add a rubric to the assessment. You can edit assessment delivery settings in Quizzes.Next. Find the assessment you want to edit . To edit the assessment, click the Options icon  and select the Edit option . To edit the name of the assessment, enter the name change in the Name field . To edit the due date, click the Calendar icon  and select the due date. To edit the point total, enter the point total in the Points field . To view more options, click the More Options button . 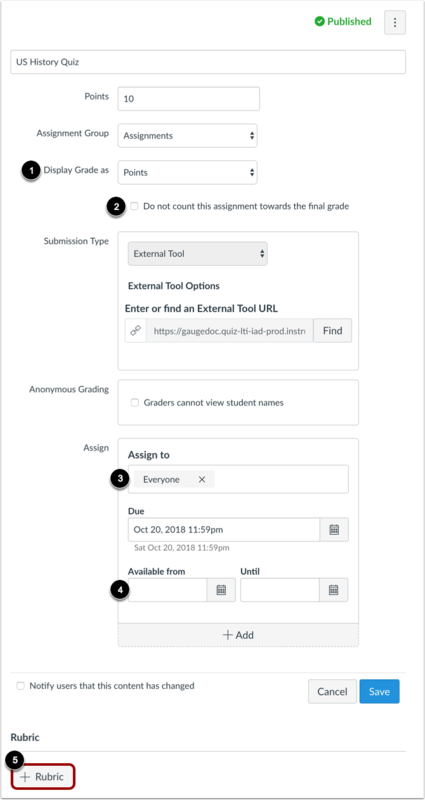 To change the format the assessment as displayed to students, click the Display Grade as drop-down menu  and select the option you prefer. To remove this assessment from final grade calculations, click the Do not count this assignment towards the final grade checkbox . In the Available fields , select the availability dates for the assessment. To add a rubric to the assessment, click the Add Rubric button . Previous Topic:How do I use the Rich Content Editor in Quizzes.Next? Next Topic:How do I grade an assessment in Quizzes.Next? Table of Contents > Quizzes.Next > How do I edit an assessment from Quizzes.Next in the Assignments page?